Distributed energy storage is in a nascent stage, but as project costs decrease, many energy investors will move into this area. The vast majority of systems installed to date have been financed based on incentive programs such as California’s Self Generation Incentive Program (SGIP), or have been installed in places that have rolled back net energy metering (NEM), such as Hawaii. The business case for stand-alone storage has been thin at best. But resilient solar+storage systems can add value to the grid and to communities. And with equipment and installation prices declining 10 – 20% annually, the market for stand-alone energy storage is expected to grow rapidly in the 2018 – 2020 timeframe. Standardizing and streamlining the permitting process for distributed energy storage will also help move the market forward in California. 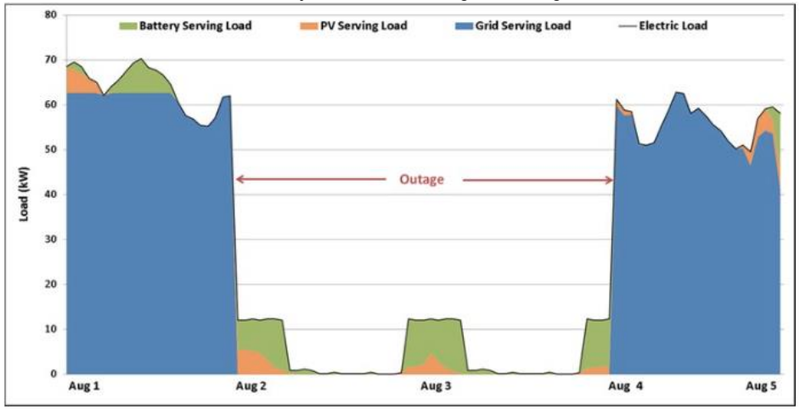 The Backup Power report found that solar+storage systems can be net present value positive with and without a resilience value stream evaluated. The PAEC recommendations for improving the energy storage permitting process are largely based on progress that has been made in California for installing small solar PV systems. A review of the revenue streams that support distributed energy storage projects, and financing mechanisms that end-customers can utilize to get projects built, found that third-party financing may also help to move the market forward.